Headlights are more important than you think. In addition to promoting safe driving at night, headlights can be used during the day to alert pedestrians and other drivers of your presence. In a world of texting and constant distractions, any chance that we can get to get attention from pedestrians could potentially save a life. If your headlights are starting to dim or fade while you are driving, they might not be as effective and could cause danger on the road. Headlight problems is not a signal that you should trade in for a new vehicle; restoring and replacing headlights is a quick fix. 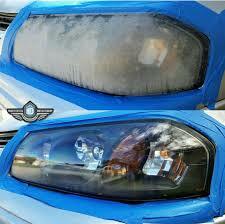 Do your vehicle headlights look old, dull, and dingy? 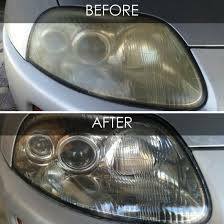 Are you looking for a cost-effective repair that restores your vehicle’s headlights to a clear, bright light and gives your automobile a fresh look? At Allstar Glass Corporation, we can make your old, faded headlight lenses look bright and clear again. You do not have to settle for old brown, dingy, and dull headlights that make night driving difficult and unsafe. 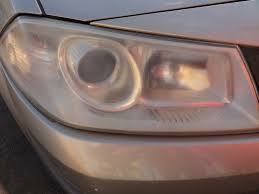 Regardless of the lens type, all headlights need to be clean and clear to be effective and provide the type of night light to keep you and others safe on the road. Once they’re replaced, they make your whole car look great. Let the experts at Allstar Glass make your vehicle look new again. Prices start at $15.99 and take less than an hour to complete. We also offer a lifetime service if you want to get your headlights restored or replaced on a yearly basis. Ready for bright and clear headlights? Call 281-575-7575 or stop by today!